Tied second in last year's Irish Youths and a creditable 18th in the East of Ireland on Monday, Esker Hills' Alan Lowry might just be one to watch in next week's Sigma Wireless sponsored Leinster Youths at his home track. 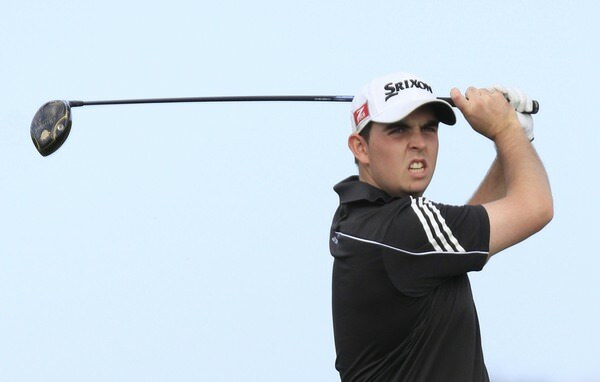 The Offaly man is clearly a player on the rise as he showed with his closing 71 at Baltray. He certainly won't be lacking for support from June 16-18 though his brother Shane, the European Tour player, won't be there as he plays in the US Open at Pinehurst No 2. The two-time European Tour winner took time out on Monday to watch his little brother in the third round at County Louth. He shot a 75 in the morning but produced his first sub-par score of the week in the afternoon. Perhaps the absence of big brother is just what he needs. The list of former winners of the event is a Who's Who of Irish golf from inaugural winner Philip Walton in 1979 to Paul McGinley (1985 & '87), Gary Murphy (1990), Pádraig Harrington (1991), Graeme McDowell (2000) and Gareth Maybin (2001). Shane Lowry will no doubt be well aware than his close pal Dara Lernihan was the first player to win the title back-to-back in 2006 and 2007. Could a Lowry finally get his name on the trophy? Jack McDonnell Forrest Little. Forrest Little. Jack Blake Forrest Little. Forrest Little.